This post has been sitting in my drafts folder for months now. I feel like I’m not doing it justice because I wasn’t able to get a decent enough picture and so I haven’t posted it. But, to be honest, it’s so good you need to know about it, bad pictures or not. 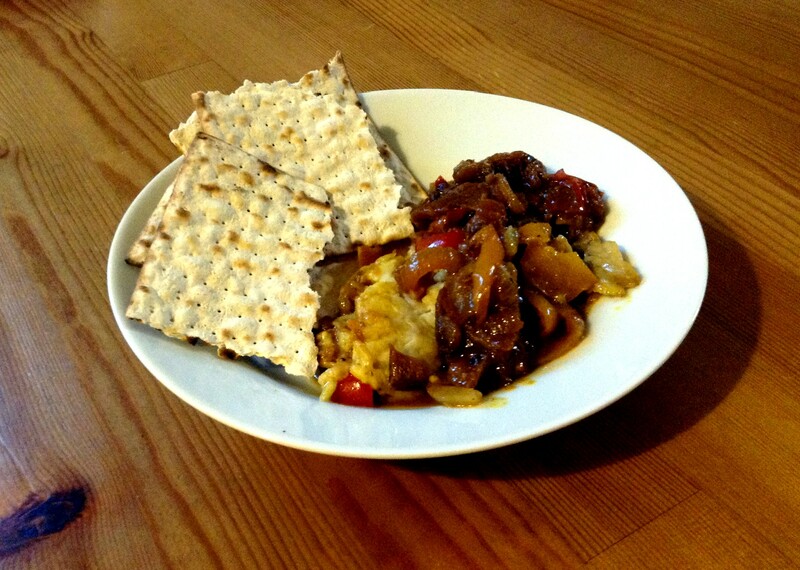 I am admittedly way behind the Jerusalem hype, but the more I look through the book − something I’m doing on almost a nightly basis now − the more delicious and exciting recipes I find that I want to make. 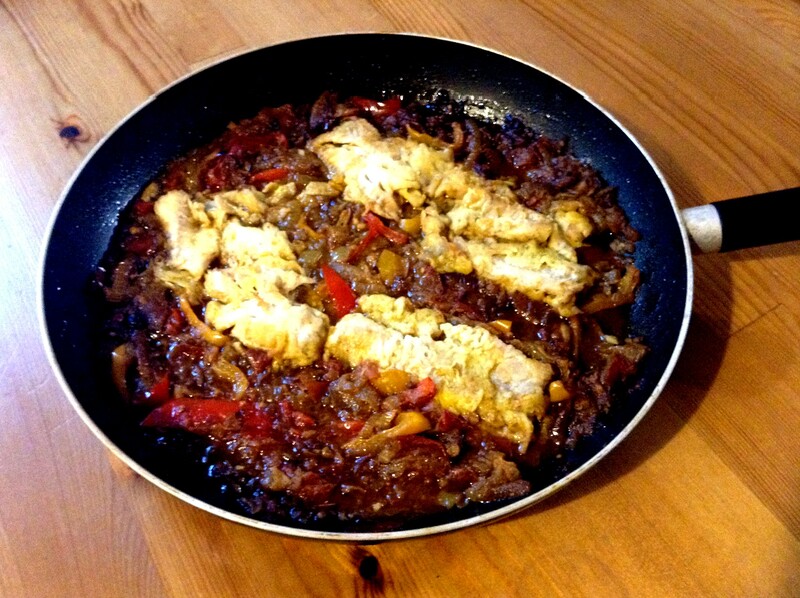 This fish was one of the first recipes I tried − after the Chicken Soup with Knaidlach (p144) which was also a massive success − and it was merely because we had peppers and fish in the house already. When I first got the book, I found myself looking through and thinking, ‘Mmm, I’d like to make that. 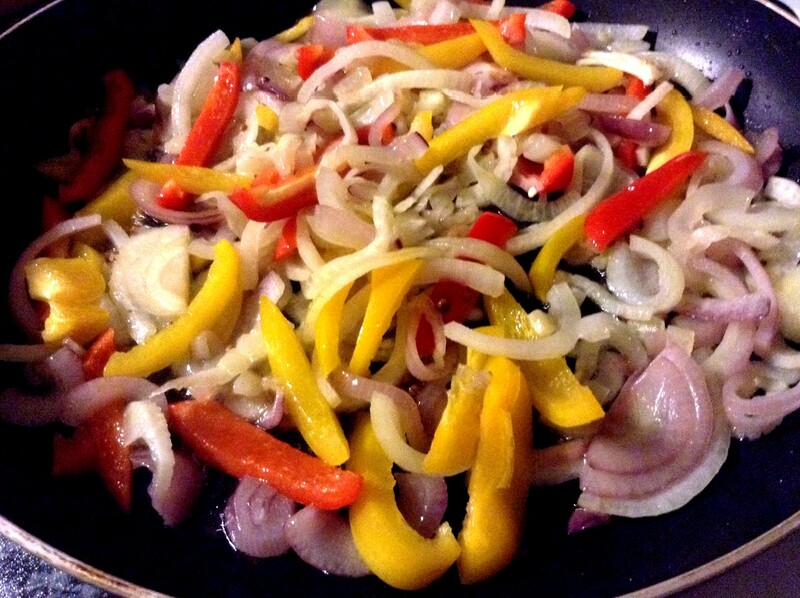 Oh wait, besides onions I have none of these ingredients… Next.’ But it’s really not the case. Yes, there are specialist spices that you might have to order online, therefore meaning you need to plan ahead, but there are lots of recipes you can make with what you have in your normal Western pantry. Tonight I’m going to make a full Jerusalem meal of Chicken Sofrito with fried potatoes (p190) and spicy carrot salad (p65) with home made pilpelchuma (p302). Because, amazingly enough, all of those recipes have ingredients that I have in my house right now. Earlier in the week I made Mejadra (p120), look out for that in this week’s Meatless Monday, which uses rice, lentils and a mixture of spices which you’ll have in your cupboard, but combines to make something so exotic you won’t believe it came out of your kitchen. Anyway, as you can see I’m on a bit of a Jerusalem kick, so I thought I better dust this post off and get it out there for you to see. This is one of the recipes where you’ll be amazed to find you have everything on hand: fish, peppers, onions, garlic, curry powder, bay leaf. It combines to make something resembling a fish curry, but the flavors are just heaven. Plus, the fact that it’s supposed to be served room temperature and is supposed to be made a day or two ahead has made it a must-have on my holiday party menu. Easy to do, economical, make ahead and delicious are what matters when the party season comes around, and this recipe ticks all those boxes. So make this, put it out at your Christmas or Boxing Day buffet with matzo crackers or toasted bread and watch it disappear. And once you’re convinced, stop back here because over the next few weeks it’s going to be a Jerusalem jamboree on A Crust Eaten. Have you tried anything a bit outside your comfort zone recently? Or discovered a recipe that’s made such an impact that you’re planning on sharing it with friends and family this holiday season? I’d love to hear about it, so leave me a comment below! Wow impressive. That actually looks really delicious. I can see how the fish will absorb the flavors. Enjoy your Jerusalem fest! It’s all Jerusalem, all the time at our house lately!